Honeymoon is the best phase of life after marriage which helps the couples in increasing their intimacy and develops a strong bond of love. To enhance this process the selection of a beautiful romantic place is must. You can select a place which offers excitement as well as thrill so that you can enjoy to your fullest. Boulder can be one such destination located on the foothills of the Rocky Mountains in Colorado, USA. This place offers some interesting and amazing attractions throughout the year. The major attractions include the numerous festive events and the enriched natural beauty with vibrant outdoor activities. 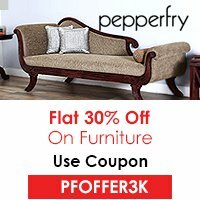 This place is also famous for its top class restaurants and delicious food. Denver International Airport is the main airport which offers flights to this place from different countries. It is located a few minutes away from Boulder. You can board a shuttle or a bus and reach your destination enjoying the picturesque scenery of this region. The couples can go for a hot air balloon ride over the city viewing the stunning sunrise from a certain height. 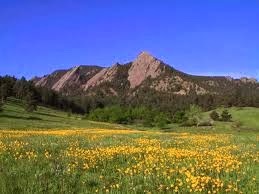 This place is full of remarkable beauty which can be explored by you visiting the Boulder Flatirons. A cycle ride through the paths will let you cross the colorful flowers of the countryside. You can go for an adventurous hike with your partner. The best site for hiking is the Rocky Mountains from where you can have some unparalleled scenic view. Boulder is aimed at go green which reflects its love towards nature. You can spot this by seeing the town which consists of green hotels, fresh thinking, organic restaurants and strong recycling center. 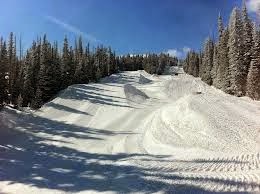 The Eldora Mountain resort is a famous site for skiing. You can go and enjoy in the snow with your spouse and have lots of entertainment. Boulder is also known for its wineries. The couples can visit the Book Cliff Vineyards and taste the wine. Boulder is considered as a hub of some best hotels providing excellent services to their guests. They also offer special services to the honeymooning couples and make their trip more romantic. Several amenities include the spa facilities with large dining rooms offering tasty traditional meals. 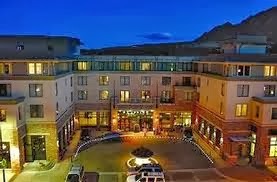 Some of the comfortable stays include the St. Julien Hotel and Spa, Boulder Broker Inn, Lookout Inn Guest House Suites and the Millennium Harvest House Boulder. The above discussed features could compel anyone to visit this place. Hence, you can also plan your honeymoon to Boulder and enhance your romance.